When working to achieve your alimony goals, it is important that you look for and work with a dedicated and responsive alimony attorney in Tampa. Since 1997, the highly skilled alimony lawyers at the Tampa divorce law firm of All Family Law Group, P.A. have a long record of helping hundreds of men and women to successfully meet their spousal maintenance and support goals. Do you have questions regarding how to limit the amount of alimony you will pay or how to maximize the amount of alimony you will receive? Contact the Tampa alimony lawyers by email or call us at 813-672-1900 for a free initial consultation by telephone or at one of our offices in Tampa Bay. It is important to note that there has been alimony reform legislation in Florida Congress for many years now and it is still pending. For news, updates and more information see the Florida Alimony Reform Facebook Page. Furthermore, it is important to note that there has been a change to who pays the income tax on the alimony paid. In 2018 and prior years the alimony payee paid income taxes on it. Beginning in 2019, in any divorces which are not finalized in 2018 the payor of the alimony will pay the income taxes. See How Federal Tax Reform May Affect Your Divorce. 1. Bridge the Gap Alimony – this is usually paid in short term marriages where one spouse needs alimony for a short and definitive period of time to get back on his or her feet after the marriage is over. 2. Rehabilitative Alimony – a definitive plan whereby alimony is awarded to the receiving spouse to continue with his or her education to obtain a certain degree and for a certain period of time. 3. Durational Alimony – this type of alimony is generally awarded for longer term marriages providing support for a limited period of time. 4. Permanent Periodic Alimony – this type of alimony may be awarded in long-term marriages and usually terminates upon the death of either party or remarriage of the receiving party. It can be modified if there is a substantial change in circumstances. 5. 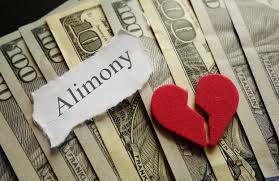 Lump Sum Alimony – a certain amount of alimony paid at one time and it is non-modifiable. 6. Combination of the above. Our experienced Tampa alimony attorneys will work with you to help you determine the alimony you will likely pay or receive, answer your questions and provide informed legal representation. Contact the law firm of All Family Law Group, P.A. if you have questions regarding divorce and alimony/spousal support in Tampa Bay. To assist you we have a team of lawyers and legal staff committed to providing you with the best representation possible. Contact our firm by email or call 813-672-1900 to schedule a free consultation with one of our experienced and dedicated attorneys to discuss your case and be advised of your options. We offer telephone or in office consultation at one of our Tampa Bay offices. We will respond at our earliest opportunity if not immediately! Se habla español.